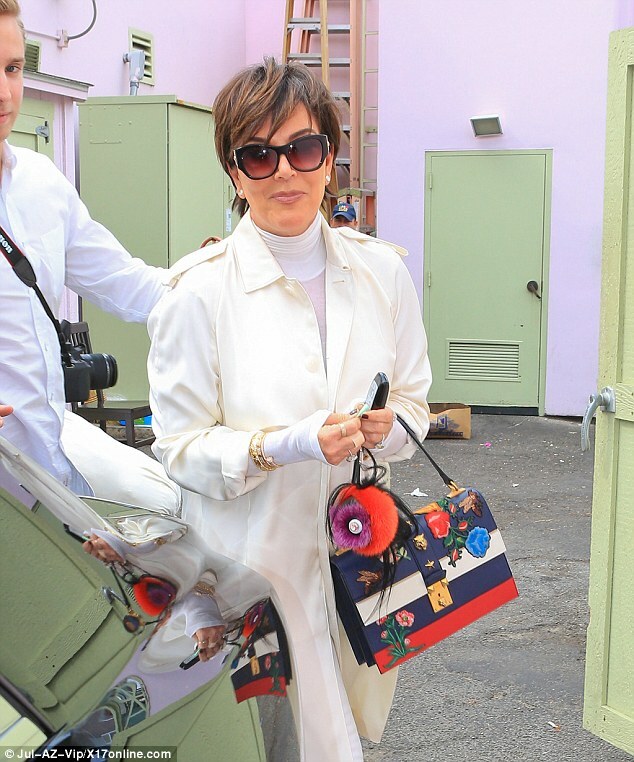 Who knew that the Gucci bags of Alessandro Michele would fly off the shelves once they hit the shop floors? I certainly didn’t expect that. The very first time we were introduced to the Dionysus bag, I thought that there was no way that the logo-a- gogo bag would become a favorite among bag lovers. I for one had serious doubts. I was not really keen on bringing the logo’d bags back. I thought we had all graduated. WRONG lol. Honestly, while I never crossed over to become a monogram Dionysus fan, I did realize that Michele had so much more up his bag designing sleeve, and it involved the revival of the vintage Gucci look. While I would shy away from a bag with too many embellishments, I think this bag was quite well- designed, with strategically placed floral and bee embroidery appliqués. I think it worked real well with Mama K’s all- white ensemble as well. Out of all the Cat Lock styles, this was really the only piece I actually liked a lot. It looks real fun too. 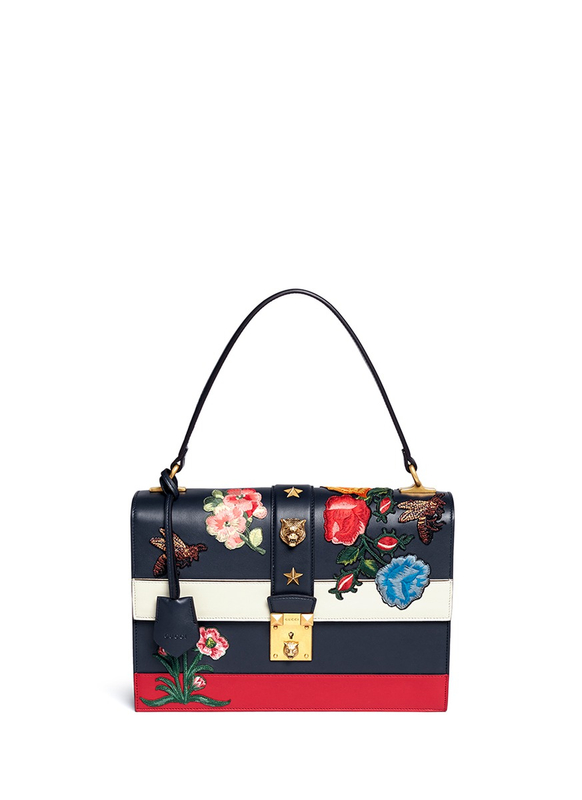 It’s kind of cute but it looks like a flag (no offense though :)) I like the Gucci GG Blooms padlock, I almost had it but changed my mind. What do you think of GG blooms padlock medium, is it nice for an evening event?